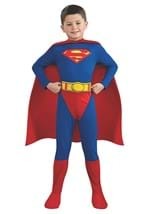 Superman will have to step aside because there’s a new superhero in Metropolis. 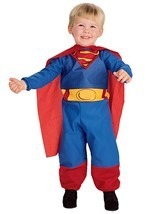 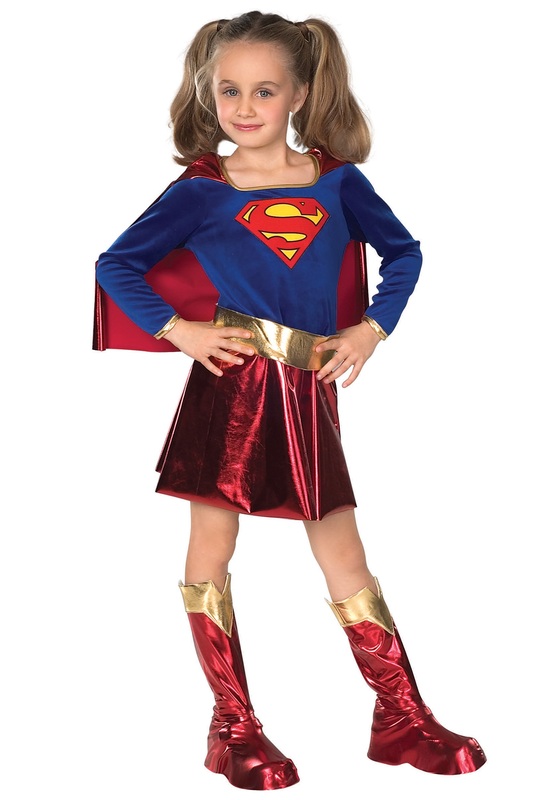 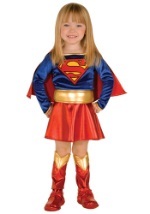 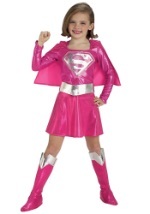 The Supergirl costume has a royal blue velvet top with the Supergirl logo over the center. 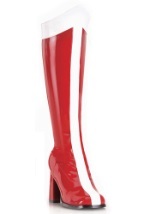 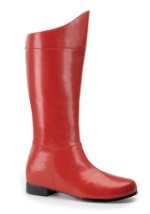 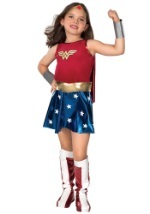 A red shiny polyester cape is attached to the shoulders while a matching miniskirt, gold foam belt and polyester boot tops are also included. 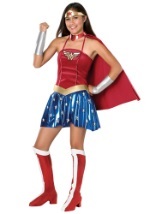 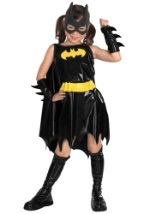 Team up with Wonder Woman and Batgirl for a great girl-powered group costume theme!